When high temperature resistance is required, Silicon resin bonded mica might be the solution for you. Mica also has exceptional physical characteristics. 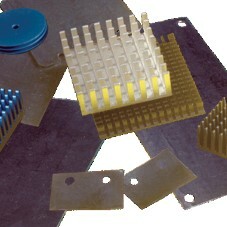 Thermally and electrically conductive materials for usewhere electrical isolation is not required. 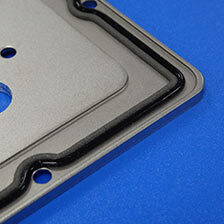 Conforms exactly to surfaces, maximizing heat transfer. Thermal phase change materials completely fill interfacial air gaps and voids and displace entrapped air between power dissipating electronic components. 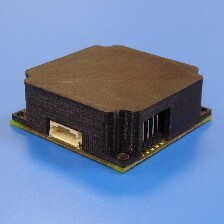 Designed to maximize heatsink performance and improve component reliability. 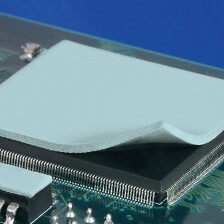 Future generation compliant cooling materials and the softest and highest thermally conductive gap fillers available ranging from 0.20 mm to 5.08mm. 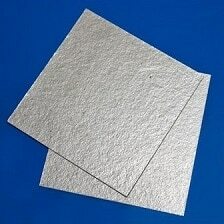 Thermal interface materials available in wide range of materials and thicknesses according to required thermal conductivity and voltage breakdown. Available as sheets or die cut parts. 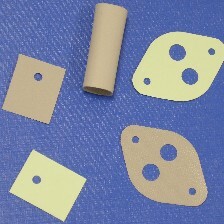 Pressure sensitive adhesive an option.